The recent, high-profile campaigns of Scotland and Catalonia to exercise their right to self-determination are proving an inspiration for Somaliland, which has been operating as a de facto independent state for over 20 years. Somaliland’s President Ahmed Mohamed Mohamoud Silanyo has reiterated his country’s right to gain international recognition, emphasizing that this movement must be coupled with continued investment and development of Somaliland’s increasingly dynamic economy and society. The recent high-profile campaigns for Scottish and Catalonian independence have buoyed hopes that Somaliland could soon gain independence from Somalia, according to the president of the self-declared country. Somaliland is viewed by the international community as a territory within Somalia – a nation that is struggling to emerge from more than two decades of civil war. However, the former British protectorate boasts more than 20 years of relative peace and security as well as untapped oil reserves and mineral deposits. Its president, Ahmed Mohamed Mohamoud Silanyo, said he was encouraged by other independence movements and hoped that boosting investment in Somaliland’s energy and agricultural sectors would spark an economic rebirth that could help it towards independence. Equally encouraging, said Silanyo, was the symbolic but non-binding vote this month in which British MPs recognised Palestine as a state. 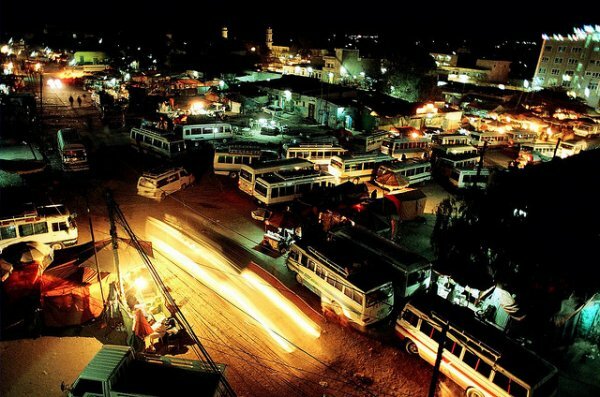 Somaliland’s energy sector has been touted as the area of its economy most ripe for development. According to the energy minister, Hussein Abdi Dualeh, there are four foreign companies exploring for oil and gas in Somaliland: Turkey’s Genel Energy, DNO International of Norway, UAE-based RAK Gas, and Yemeni firm Ansan Wikfs Hadramaut. But analysts say oil production could raise tensions with Somaliland’s neighbours, particularly in disputed areas that have aligned themselves with Somalia. But Somaliland has yet to secure a deal to develop the port of Berbera, which would be vital for exporting oil and gas. The port has long been touted as a potentially lucrative transport corridor that could link neighbouring Ethiopia, which is landlocked, to the sea. Until new sectors of its economy are developed, Somaliland will continue to rely heavily on livestock exports to Saudi Arabia and other Arab countries where Somali livestock enjoys a premium status, Silanyo said. During the annual hajj pilgrimage, Saudi Arabia imports more meat from Somaliland than anywhere else. “We are very much dependent on the exports of livestock, but we would like to develop our fisheries because we have a very long coastline and we have mineral resources as well,” Silanyo said. The UK’s Department for International Development has said that Somaliland’s government is “better able to provide for its citizens” than the government of Somalia. DfID will contribute £25m to the Somaliland development fund, which is designed to support governance, boost infrastructure and improve water purity.